This week on the design wall is a quilt called Bulls Eye. The blocks below were a block of the month a couple of years ago from Sunshine Quilters block of the month. I was the lucky winner, but had not finished. So this is another of my UFO's for this year. 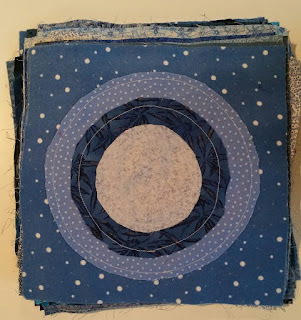 The blocks were easy to construct, and the next step is to cut in half both ways to make 4 sections and then mix them up and sew back together. 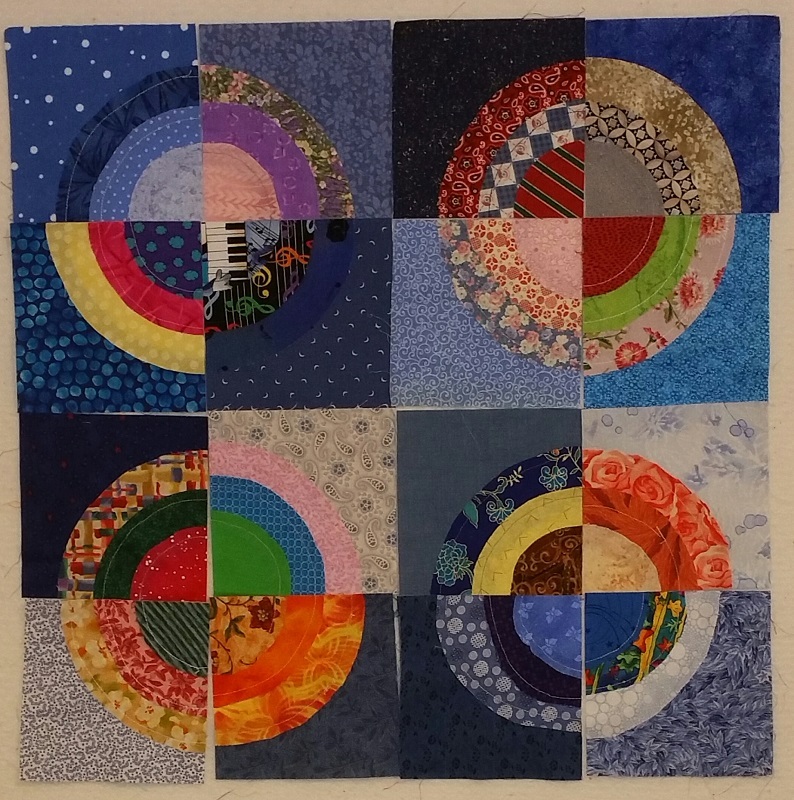 Below are a few of the blocks that are ready to sew. This is one of two projects I am working on this week. The other is step 10 of Prairie Gathering. Will post progress later this week.